Samoa is a place where piglets roam freely and everyone waves as you pass by. It is a country full of welcoming people, incredible beaches, and stunning waterfalls. 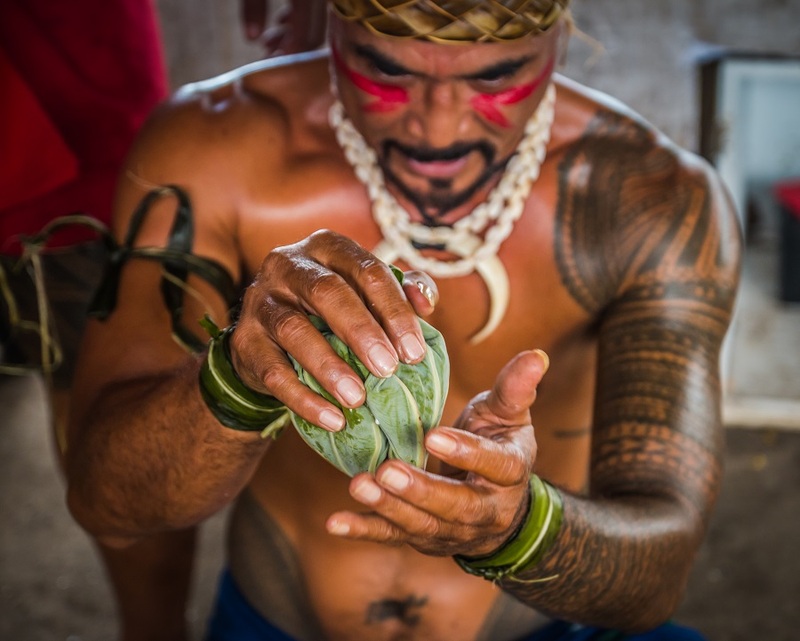 The first independent nation in the South Pacific, Samoa is thought to be the birthplace of the tatau (tattoo). It is composed of two large islands, Upolu and Savaii. Both are packed with sites to explore. Samoans are large, not only in stature but in the heart. The food is great and plentiful! 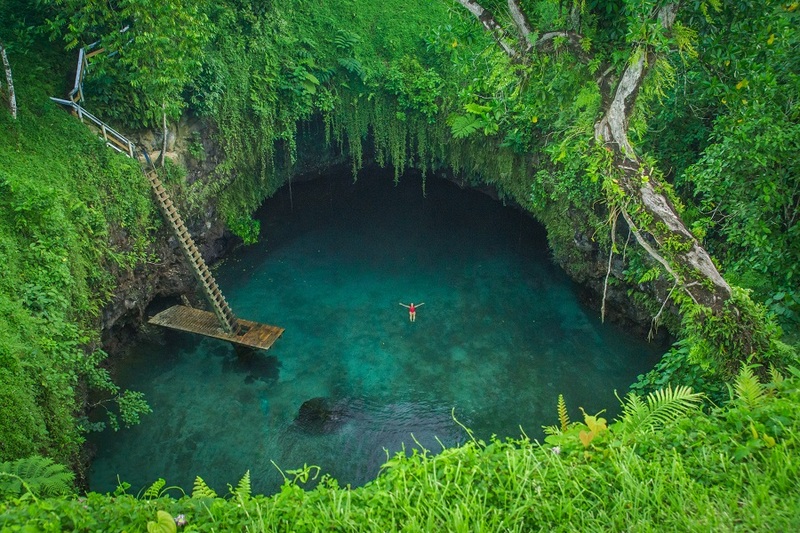 The To-Sua Ocean Trench is one of the coolest natural land formations in the world. 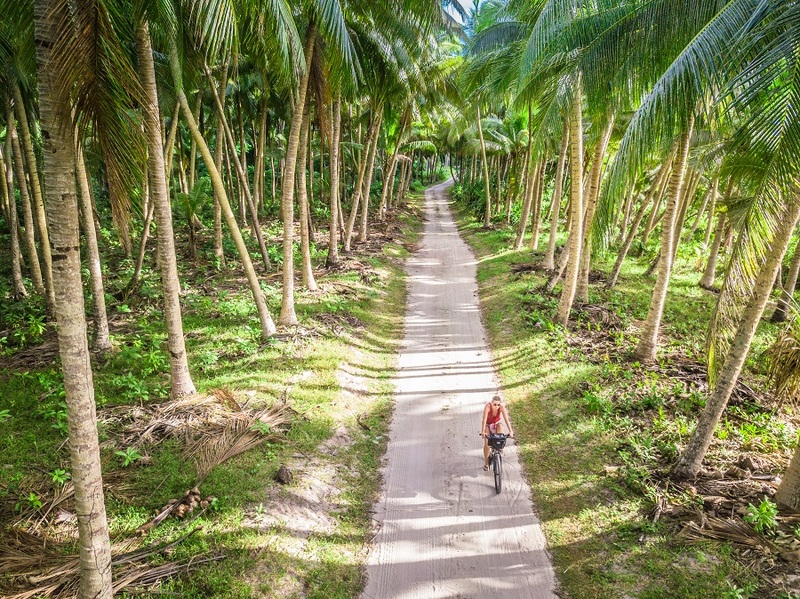 For these reasons and many more, Samoa is our favorite country in the South Pacific. So pack your flip-flops and latest bikini (or mankini), and get on your way to the beautiful island of Samoa! A visa is not required for most visitors for stays up to 60 days. You must have a return ticket or onward travel and a valid Passport for at least six months. Samoan culture is rich and proud of its Polynesian roots. Many people still live in remote villages and live off the land and sea. Fales are traditional houses. They are open air bungalows and are the standard for beach side accommodation. Fia Fia shows are a great way to experience Samoan culture. The show usually includes dancing, singing, and a fire show. Sunday is church and family day, with most shops closed and buses not operating. Unless traveling by rental car or scooter expect to stay at the same place Saturday and Sunday night. Sunday umu which is food cooked on hot stones on the earth is usually shared with friends and family. Tattoos, or tatau in Samoan, are believed to have originated in Samoa. The tatau is still used today as a sign of responsibility towards family and loved ones. A Pe’a is the traditional male tattoo that covers from the waist to the top of the knee. This very painful process takes many weeks to complete. If a Samoan man starts the process of Pe’a and is unable to fully finish the tatau it is shameful on himself, his family, and his village. The traditional female tatau is called the malu. It starts from the top of the thigh to the knee and is a much lighter ordeal usually taking an afternoon to finish. Tourism infrastructure is great in Samoa. It is fairly easy to get around both islands independently. However, with every stop, whether it is a waterfall, natural landmark, or beach a payment is required. All land is owned by villages and the local people. The fees help support the local families and communities. However, there were times we questioned why we had to pay to go to a lookout when it was free only 20 meters away. While all tourist locations cost money, the majority are 5 Tala ($2 USD) for entry. If the price seems absorbent be sure to bargain. The best time to visit Samoa is during the dry season between May and October. The rainy season is between February and April. December holidays see a huge influx of Aussie and Kiwi tourists. 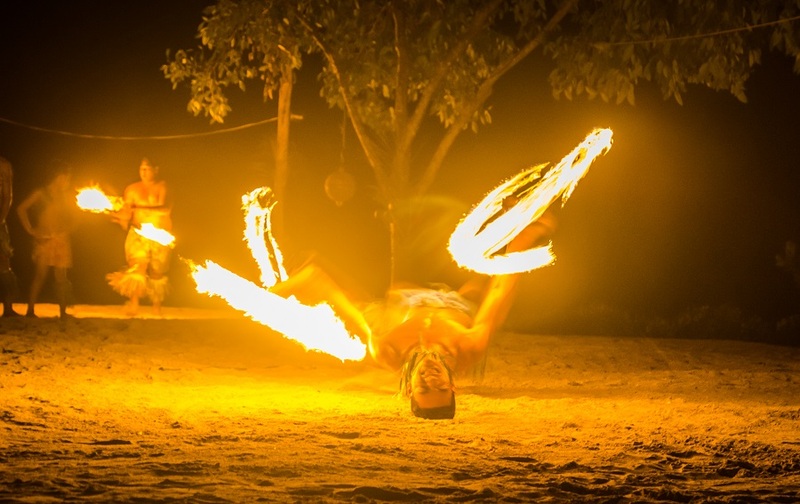 Samoa is very hot and humid year round, with high temperatures continuing into the night. Traditional Umu is common on Sundays when a fire is set outside on top of stones. Food is wrapped in palm leaves and covered with hot stones and banana leaves to steam/cook. Typical Umu consists of palusami, taro leaf with coconut cream and onions, roasted taro, fish, and at times pork or octopus. Coconut cream sauce is common with most or all dishes. In Upolu there are many roadside BBQ stands offering chicken or ribs. Fried chicken and Chinese takeaway are also common in Apia. 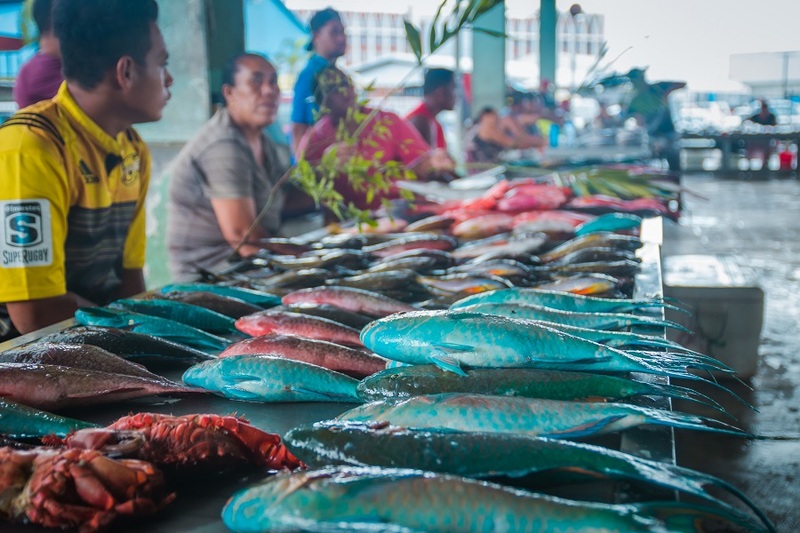 Savaii is more remote and with less food availability. Food is more basic and simple (rice, taro, vegetables). Samoans also do not eat lunch. Fales will cook lunch for an extra price, but it is common that restaurants are not open during these times. We commonly would eat snacks, fruit or have some light lunches from local stores. 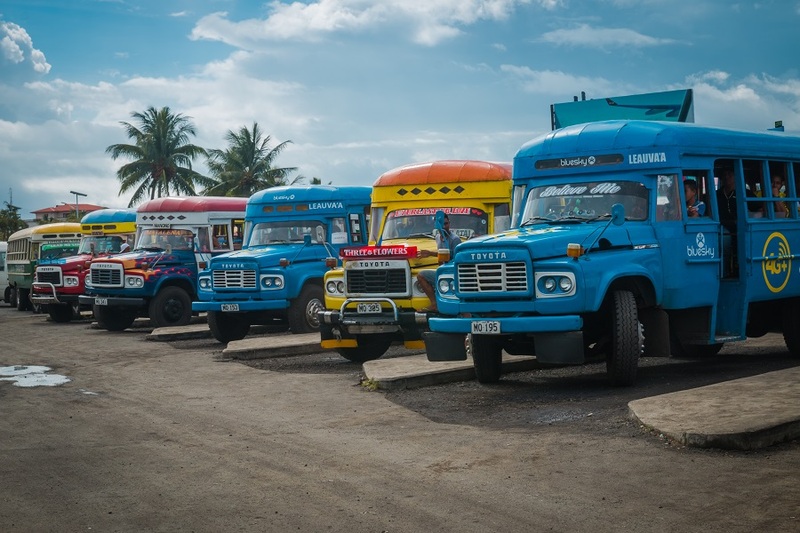 Local bus transport is a great way to get around Upolu. Buses originate in Apia and run throughout the day. Some locations (i.e. Lalomanu) have the last bus mid-day (2 pm). Only one bus operates on Sunday to the ferry terminal and back. Bus fares originating in Apia cost around $1.50 Tala locally, $4.50 to the airport, and up to $7.50 Tala to Lalomanu. A Taxi costs $5 locally within Apia and $60 Tala to the airport. There are two ferries between Savaii and Upolu that depart several times a day each day. Sunday has reduced ferry departures. Times often change, so ask at the visitor center in Apia for an updated schedule. The ferry costs $12 Tala per person. Moto Samoa rents scooters for $59 Tala per day. They are available in both Upolu and Savaii for pickup/dropoff. Several car companies in Upolu are available for $90/day Tala for weekly rentals or from $120/day Tala for daily rentals. Hitching rides is very easy and accepted among locals. Standing on the side of the road, locals may slow down and honk to see if you are going in the same direction. Wave cars down to ask for a ride. It is common to give them the same as the bus fare, but they often will decline the gesture. The Samoa Shipping Company has a ferry between Apia and Pago Pago that departs once a week. The journey takes seven hours and costs $75 USD. However, when we were there the ferry was under maintenance for over 4 weeks. We heard that was a common occurrence. 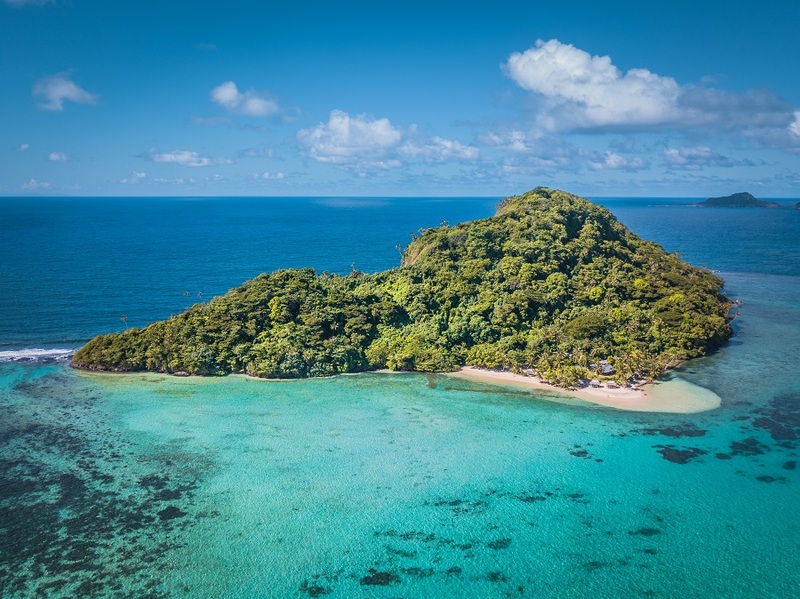 With less time on the islands, it is safer to book one of the daily flights that leave from Apia to Pago Pago, American Samoa. Polynesian Air and Talofa Air fly several times a day from $150 USD return. Beach fales are open-air bungalows and are the typical accommodation in Samoa. Waking up to the sound of the waves is a beautiful experience. However, it is not for everyone. With very heavy rain it could potentially be a very uncomfortable night. At the fales, we stayed there were tarps to keep us dry if it did rain. There is some accommodation with closed fales as well as proper hotel rooms in the larger towns. It is also possible to stay in Apia and take the bus or taxi for day trips around the island, but we recommend staying in fales. Nearly all the fales include dinner and breakfast in their prices. Tufua Beach Fales in Lalomanu cost $80-$100 pp. Breakfast and dinner is included, and we recommend to stay on the weekend to enjoy an amazing Sunday Umu lunch feast. 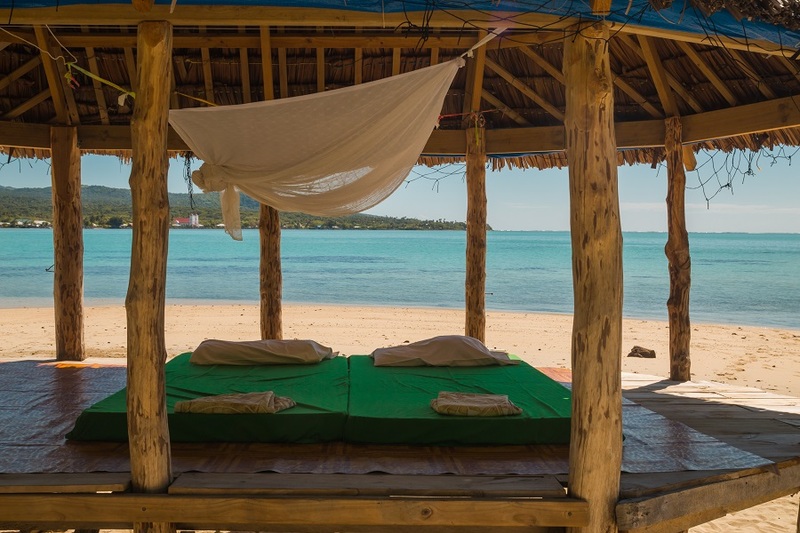 Namua Island Beach Fales (Phone: 751-0231) is a perfect beach getaway on a small private island for $120 pp with transfers, breakfast and dinner included. Samoa is a very safe country to visit. As with traveling anywhere, it is best to care for your belongings. We heard a couple of stories of theft, however, for the most part, there are no issues related to safety in Samoa. While walking, running, or if renting a scooter, dogs are known to be aggressive and can bite. This is the number one reason for injuries in Samoa. It is good to carry a small stick to intimidate groups of barking dogs, as some will get very close and appear as though they may bite you. We felt very safe while in Samoa, even while sleeping with our belongings on an open beach fale. 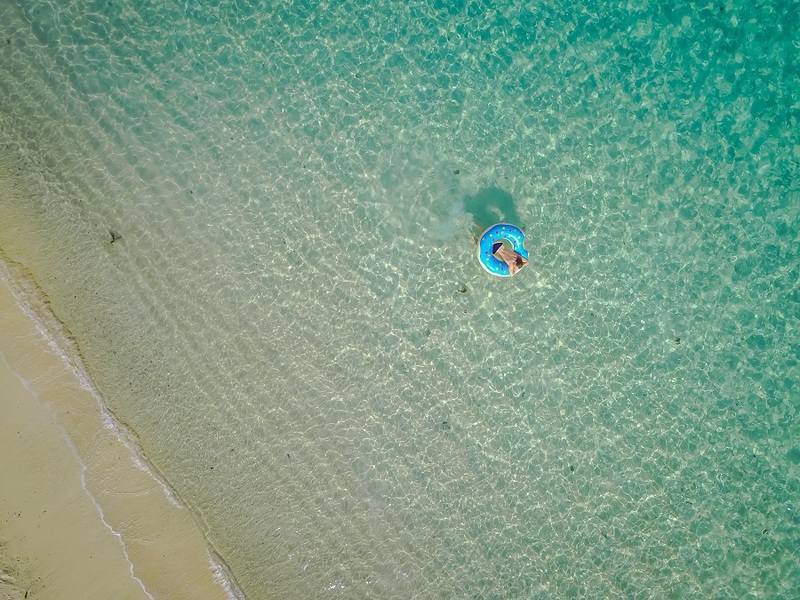 If you are worried about staying at beach fales, we recommend buying a travel security cable and you can cable your belongings together and lock it to the fale posts. The absolute number one reason to visit Samoa. The ocean trench is more of a sinkhole with stairs leading down to this amazing natural wonder. It is better for jumping/swimming during high tide, but if you are courageous enough to swim through the cave out to the beach, ONLY attempt this at low tide. Unfortunately, there have been fatalities here, so be careful if you swim out. 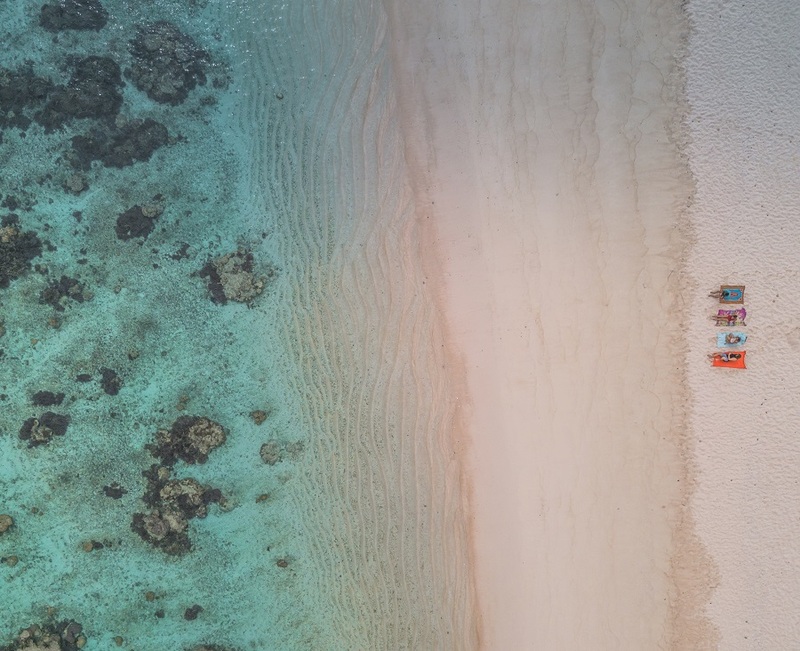 The best beach in Samoa and one of our favorites in the South Pacific. Easily reachable from Apia, come for the day or stay in one of the local beach fales. 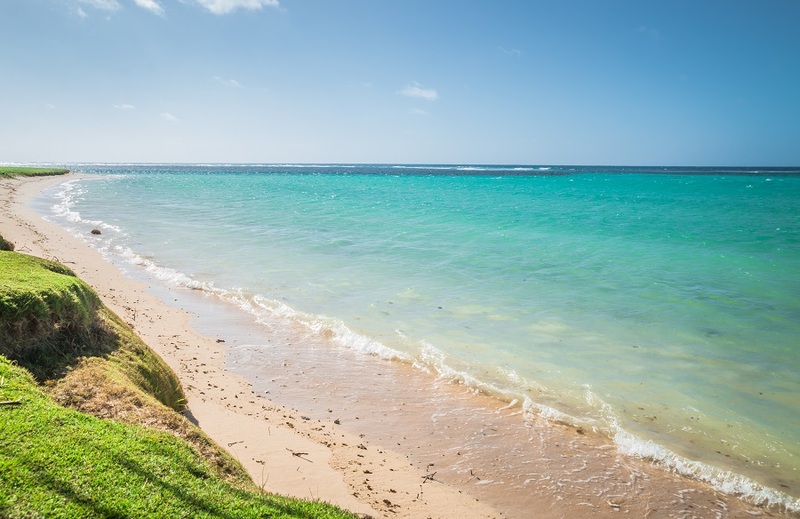 Lalomanu Beach was paradise, one of our favorites in the South Pacific! 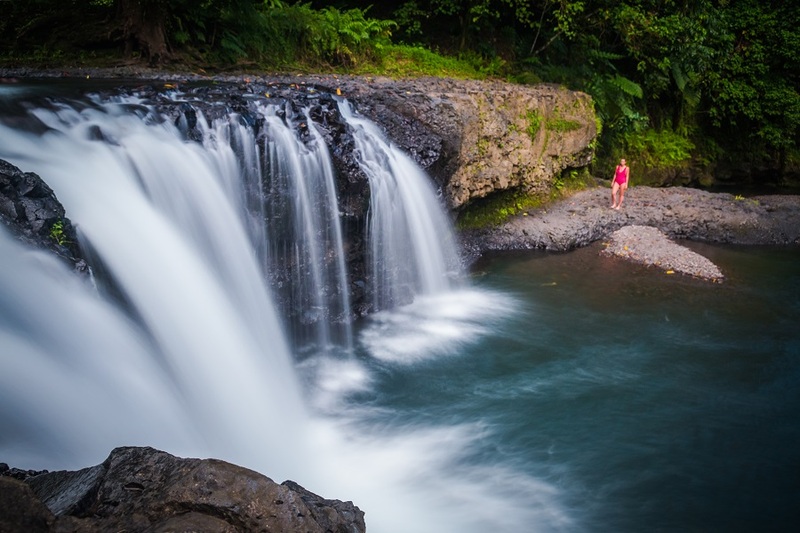 One of the most picturesque falls in Samoa. This private island is like an escape to paradise. You can enjoy the beautiful beach for a day trip, or stay the night. At low tide, you can walk around the entire island, which has a dramatic and rocky coastline. Cost is $40 Tala for a day trip or $120 Tala overnight that includes breakfast, dinner and boat transfers. Only a 20-second walk from the car park leads you to the viewpoint of this massive waterfall. 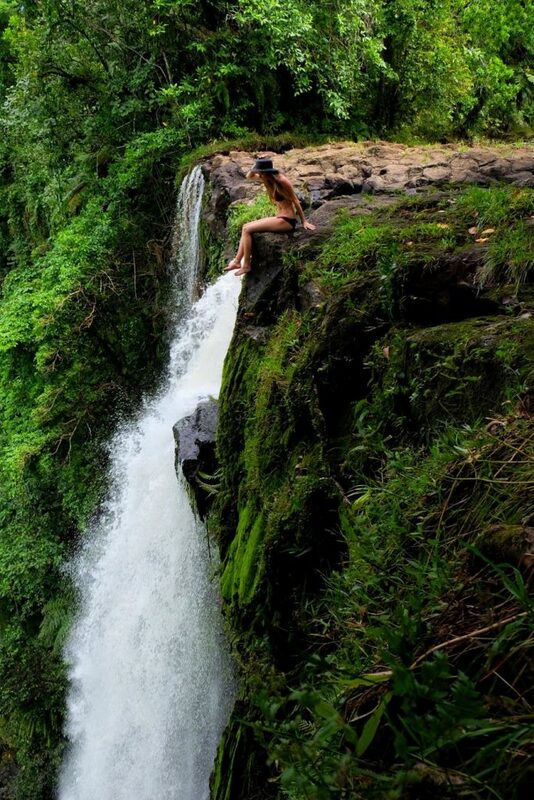 These small cascading waterfalls are picturesque. There is a 5-meter jump into a large swimming hole over the bottom falls. Great for swimming. Every Tuesday, Wednesday, and Thursday at 10:30 am there is a free cultural show and lunch. There are several stations of traditional craftsman and workers. Unlike some tourist traps, they actually work there every day, not just for the show. The highlight was watching local Samoans get traditional tatau. We cannot stress how awesome this experience was. If you are in Apia mid-week do not miss this show! 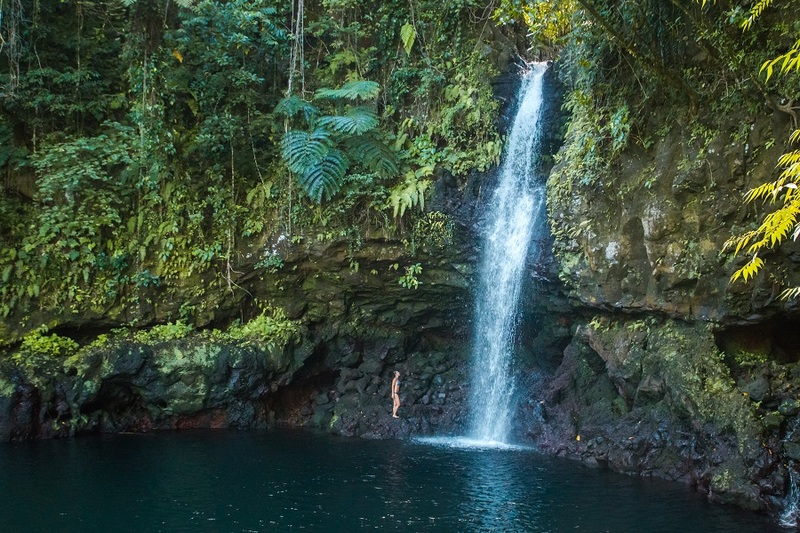 The best falls in Savaii are also perfect for an afternoon swim on a hot day. 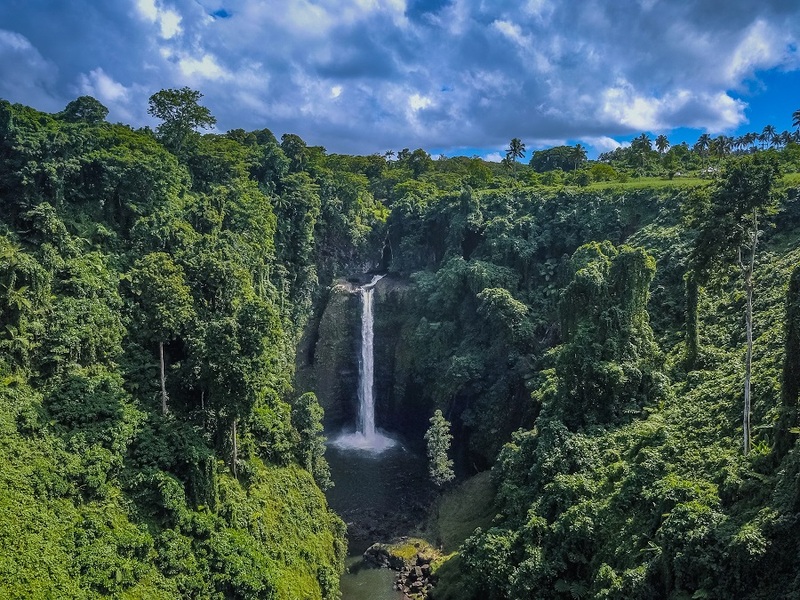 Surrounded by lush jungle, these falls are only a kilometer off the main road near the village of Vailoa. 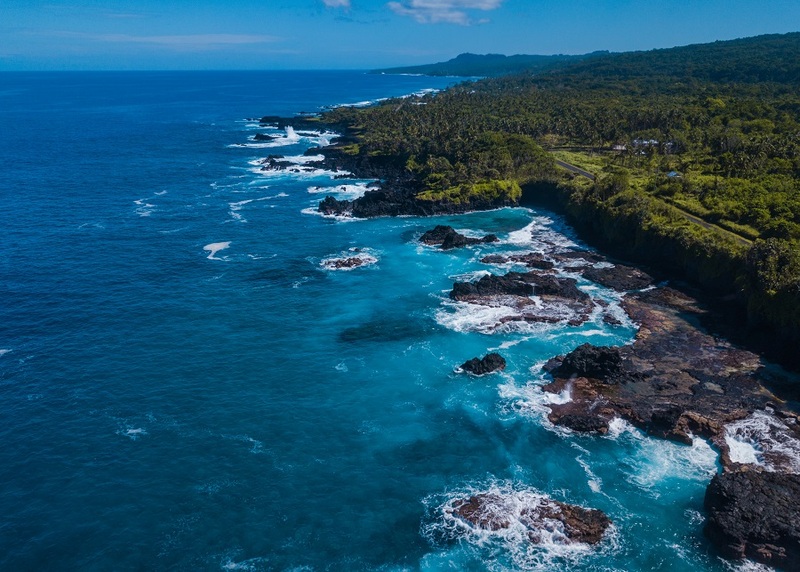 This rocky coastline near the village of Taga is defined by the rock formations and lava tubes. 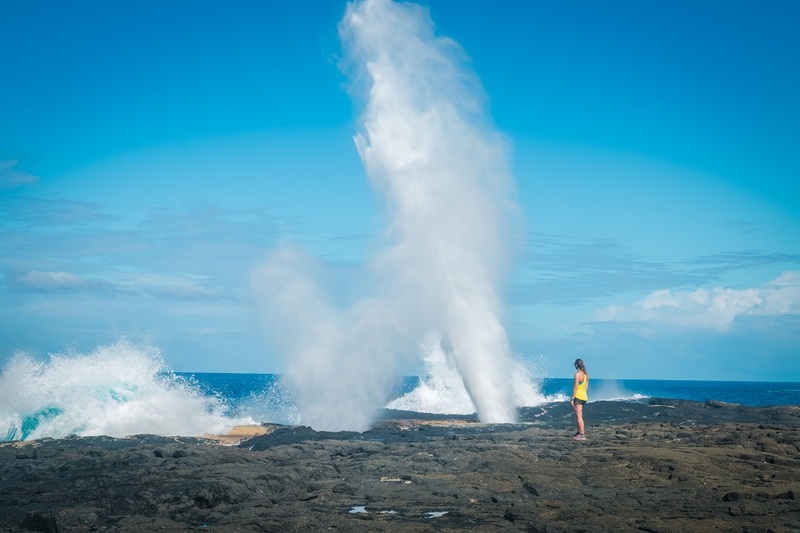 There are multiple blowholes, the main blowhole is one of the largest in the world. Water rockets up through the blowhole over 30 meters high. It is best to see during mid or high tide. This old church was directly in the path of the lava flow from the massive eruption of Mt Matavanu in 1905. 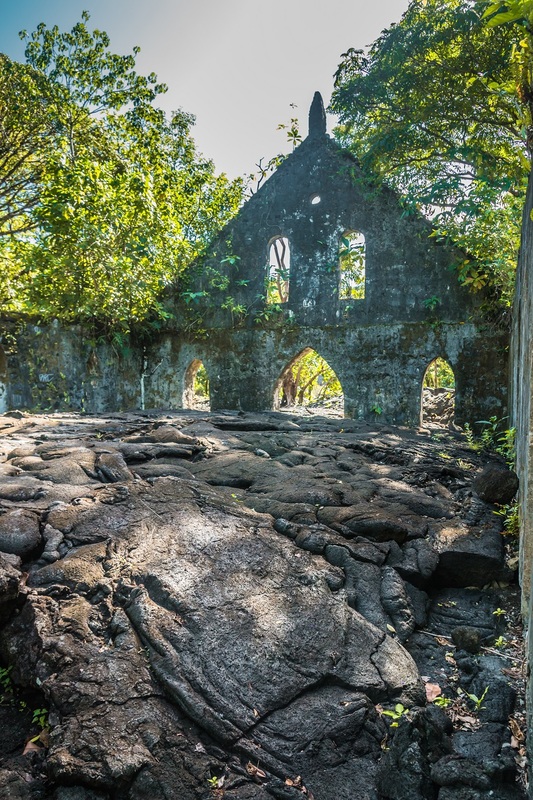 You can explore the lava field, the church, and see where the lava field ends into the ocean. This popular beach is the closest Savaii has to a “resort town.” There are six beach resorts all located side by side along the beach. We went to each resort to compare and some do not have an actual beach, but more of a retaining wall with stair access to water. We recommend Tailua Beach Fales, which has beach access in front of the nice fales. For a more upscale stay, check out the Stevenson’s Resort. 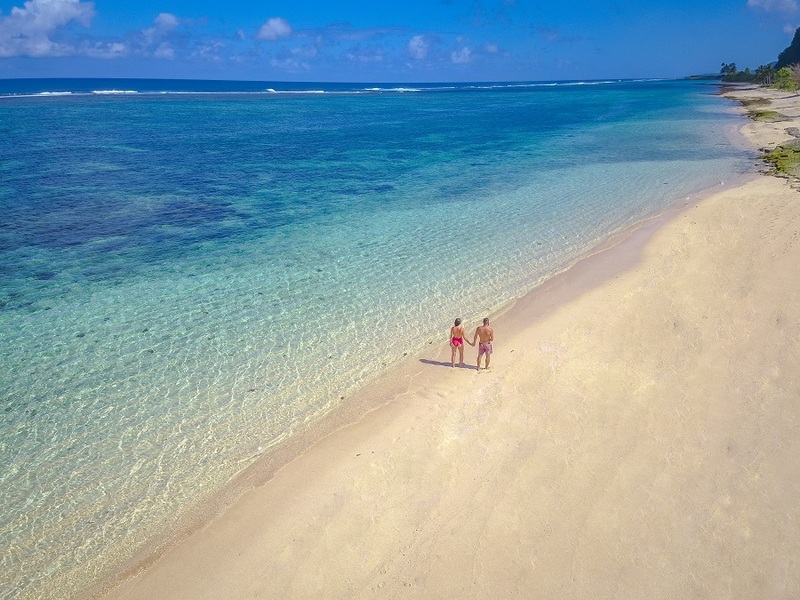 Located on the west end of Savaii, Falealupo is the best beach in Savaii. It is great for swimming and a very good site for snorkeling. The area is beautiful with a long white sand beach, palm tree-lined road, and nearby abandoned church. While the beach is nothing to brag about, Satuiatua Beach Resort is a charming resort with a massive banyan tree and treehouse in the center of the property (with a cool swing too). 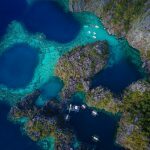 The massive fales are somewhat like an open-air cottage and the food is excellent, but the real reason to make this a stop is for the snorkeling. Just next to the property is a marine reserve. 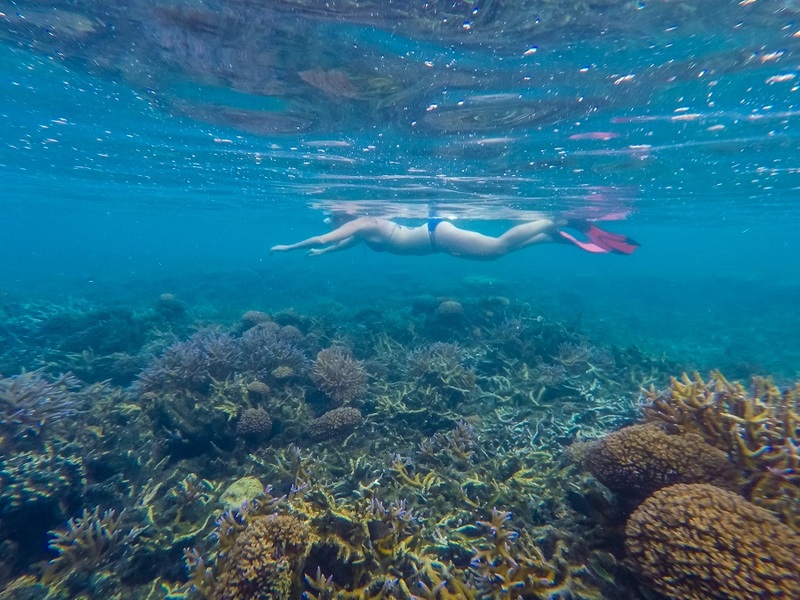 The coral is absolutely breathtaking and thriving in this area. It was some of the best snorkeling we have seen anywhere in the world. 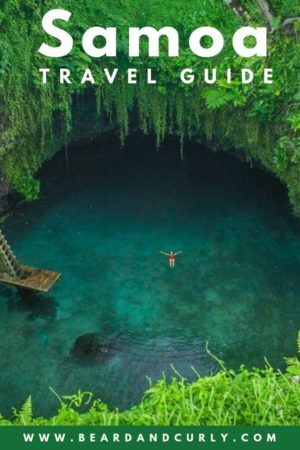 While Samoa is not likely the closest or easiest place for many to get to, this country is one of our favorites in our past two years of traveling. The culture is unique, the food is great, and the beaches are very accessible. In addition to everything we loved about Samoa, it was surprisingly more budget-friendly than we expected. Almost always the cost of a fale included breakfast and dinner, so our accommodation was the majority of our expenses for the duration of our stay. We absolutely recommend going to Samoa, our favorite country in the South Pacific. your article brings back so many memories from my visit to Samoa! I went there last year and I left a piece of my heart there – the landscapes, the people, the food, everything was simply outstanding. 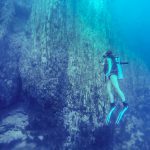 I especially loved diving at the John Williams V wreck (https://dive.site/explore/site/wreck-john-williams-v-zBDm), the wreck was so eerie and beautiful. Samoa is a little bit of paradise, and I am so happy you have done it justice through your writing. thank you! Thanks Angela! Samoa was our favorite place in the South Pacific. 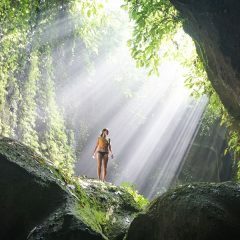 It is such a beautiful island and the people are the nicest in the world. Glad it brought back some of those memories!